Pessimist Incarnate: Oscar's tragedy gives rise to jokes! New evidence has been found outside the Pistorious home that could completely acquit him of his girlfriend's murder."Footprints." 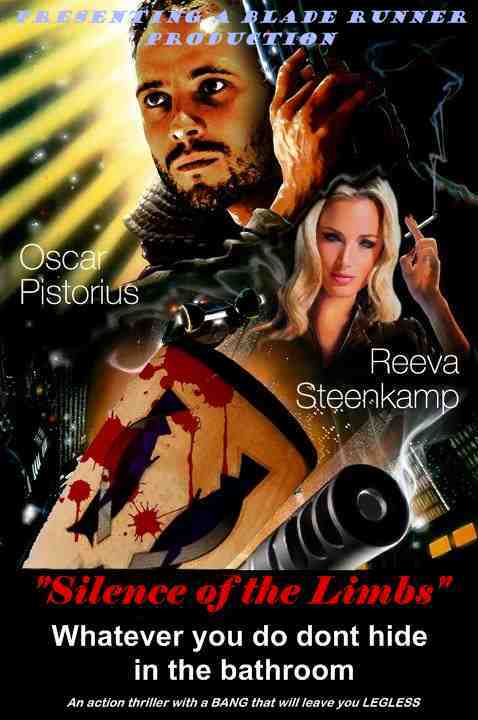 Oscar Pistorius has murdered his girlfriend. Proof that even a man with no legs has a better shot than any Bafana Bafana striker. She didn't notice Oscar sneaking up behind her. It was the silence of the limbs. Oscar Pistorius has an incredible record of wins to his name. Six gold medals, four silver medals and one argument. A young woman is dead and the up and coming athlete Oscar Pistorious' life is ruined and people are already making jokes about it. That's prosthetic... I mean pathetic. Oscar Pistorius 'shoots girlfriend' This is the sort of behaviour from celebrities that we need to stump out. Just like every other intruder in South Africa, Reeva Steenkamp was blonde, white and beautiful. It's an easy mistake. Well, at least someone’s Valentine started off with a bang ! !